Oregon’s thick coastal forests limit the mountain views, except for a nicely placed clear cut like this. The logging road leads into the view. sunny day in the blue glow from the sea. My painting, Yellow Tree Waterfall, has been selected for the Expressions West 2015 Exhibition at the Coos Art Museum by juror Brian Hoover. He chose 61 paintings from 44 artists residing in California, Colorado, Hawaii, Idaho, New Mexico, Montana, Oregon and Washington. 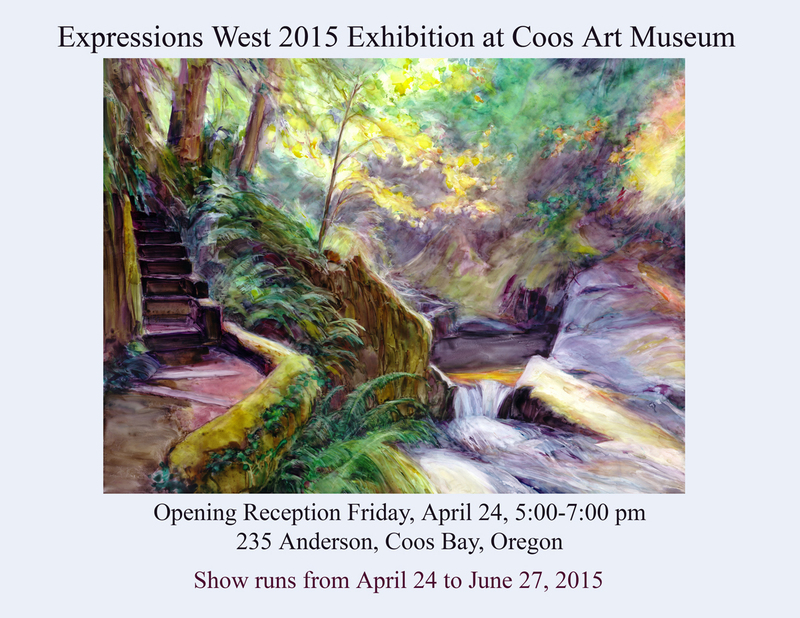 To see a complete list of selected artists go to http://www.coastarts.org/events/2015/06/expressions-west-2015-exhibition-at-coos-art-museum/. The awards ceremony begins at 6:00 pm at the Coos Art Museum Friday, April 24. 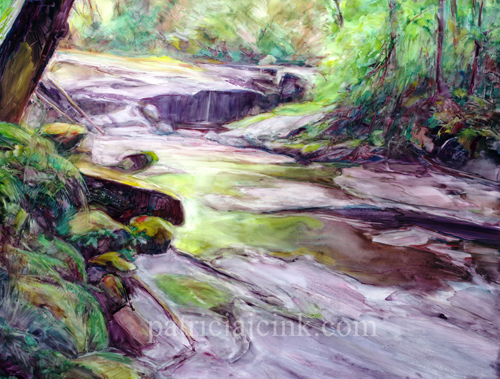 This is the third painting done from the Sweet Creek Waterfalls hike. Here the filtered light seems to splash down the waterfall and spread out over the rock shelves, and into shallow and deep pools. The Sweet Creek Falls Trail near Mapleton, Oregon, provides easy walking to the creeks 11 waterfalls. 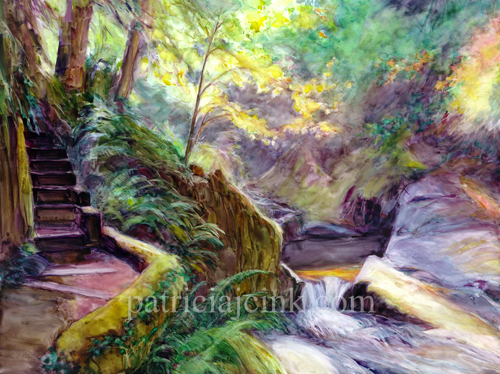 Here, a stairway climbs in the shadow of a sheer rock wall as the sun sparkles on the yellow leafed tree and the waterfall below. The Sweet Creek Falls Trail near Mapleton, Oregon, provides easy walking to the creek’s many waterfalls. Here the summer’s depleted stream flows over the rock ledges. 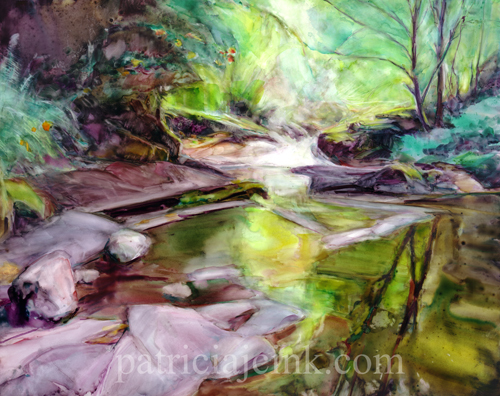 The sun filters down into the narrow canyon to illuminate the water and stone.